I'm here with another card for The Rubber Buggy. I made a birthday card, in the down right corner it says "happy birthday" in Swedish. 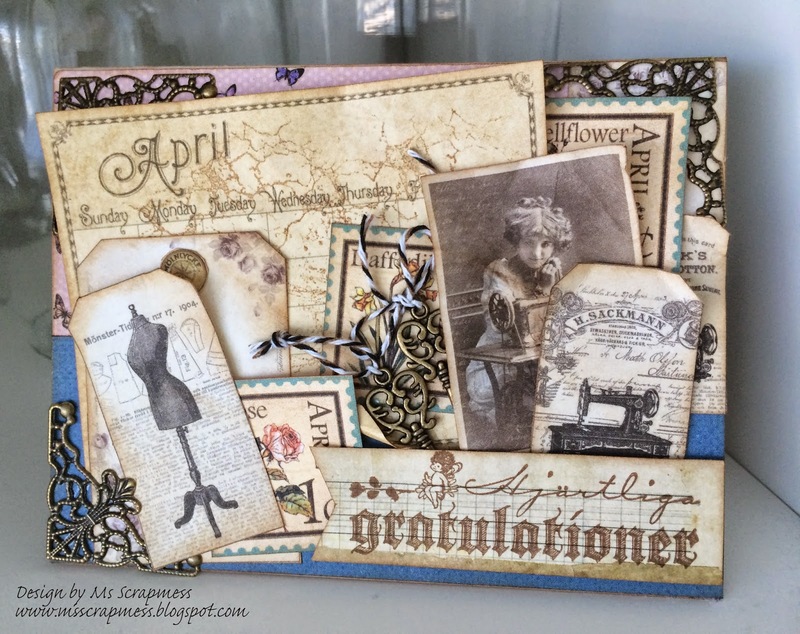 The card is made with paper and cut aparts from both G45 place in time and an older collection from Pion design. If you are familiar with these brands and I'm sure you are, you know that G45 is a warmer vintage tone and Pion design leans more towards a grey tone and in this collection, a cool gray. My point being, these two collections did not match, but I altered the pieces using Vintage photo distress ink, which is a warm brown. 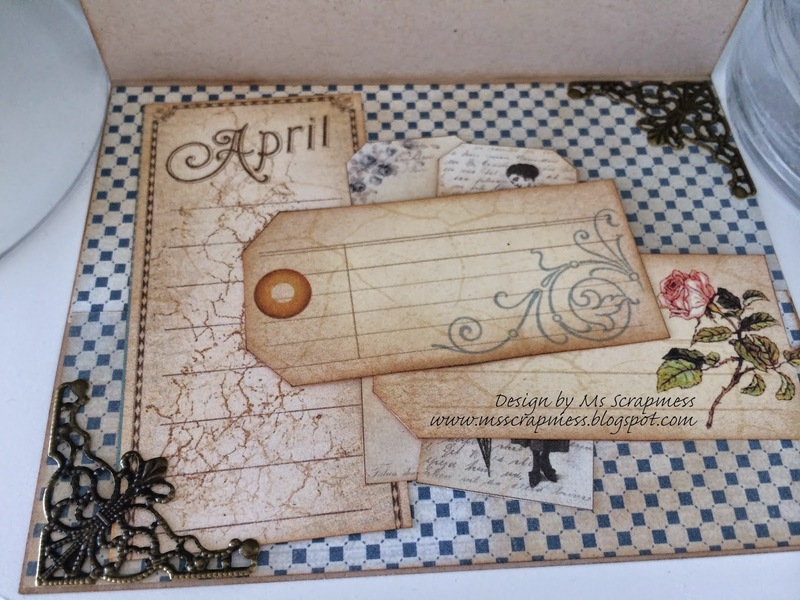 The April elements from Graphic 45, look really distressed. But all I did was stamping them with my crackle clearstamp from Kaisercraft and I love the instant depth they get without being bulky.